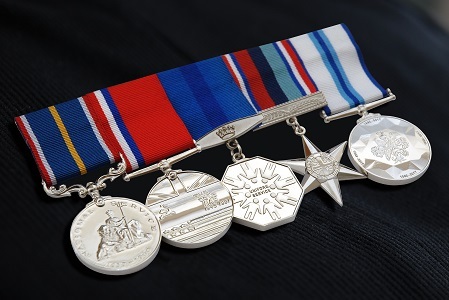 AWARD has been a medalist for over 30 years and is proud to have produced and issued 29 commemorative medals, most at the request of, or in conjunction with a veteran group of charity, raising over £1,000,000 to date from the sale of medals and related products. As one of the largest supplier of military commemoratives and gifts AWARD offers a unique service and can personalise many items for highly personal gifts and memorabilia. In addition to this website, AWARD offers a catalogue mail order and telephone service and since 2012 opened the AWARD showroom in the centre of Shrewsbury, situated in the Shrewsbury Antique Centre. The showroom is open on Monday to Saturday from 9.30am to 5.00pm to view products only but on Fridays it has a member of staff for customers to seek advice regarding medal mounting, view products or collect orders by arrangement. AWARD is delighted to announce that we have confirmed our support for the Armed Forces Community by signing the Armed Forces Covenant.